Google Analytics is everywhere. Basically, Analytics is a common tool for tracking the success of websites. 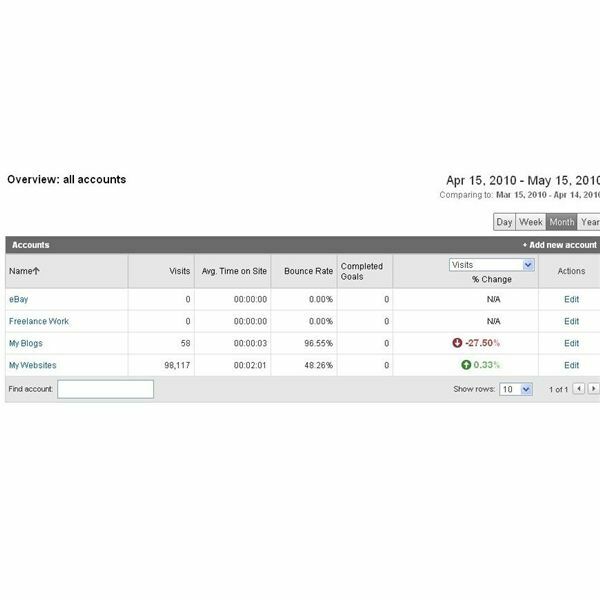 Many webmasters use Google Analytics to track website visitor browsing habits (such as which pages are viewed most often) and build targeted revenue building campaigns. To start using Google Analytics, a webmaster must first sign up for a Google account if they do not already have one. Once accepted, web developers are given a unique script to add to their website, such as the footer, which is available on every page. With the Google Analytics script on every page, browsing habits can then be recorded. Website hackers no longer break into a website and replace it with a site of their own. Instead, the modern hacker hijacks a website by injecting their own code, either via spears (exploiting weaknesses in media such as Flash, for instance) or by gaining access to the admin account for the site. The website is then altered very slightly – often by making an amendment to the block of Google Analytics code. The result of this is simple. Google Analytics does what it is supposed to do. The hacker’s own code runs while the website continues functioning, apparently with no changes. The website owner has no idea that their site is hosting malicious scripting and posing a security risk. Put plainly, Google Analytics isn’t malware. However, it can be incorrectly designated as malware (see False Positives, below) by your security software. Moreover, purveyors of malicious code have begun using URLs in the scripts hidden in hacked websites that resemble Google Analytics addresses. Note how they use subtle alterations in the spelling. The last example uses a “q” in place of the second “g” of google. The result of this is that security software can appear to be highlighting Google Analytics as malware, when in actual fact it is reporting one of these spoof URLs. Unfortunately, this isn’t as simple as keeping an eye out for fake URLs that your anti-virus or anti-malware tool detects as being something that isn’t quite Google. Google themselves have even reported Google Analytics (google-analytics.com) as malware, which is potentially embarrassing but apparently down to an incorrect identification by Google’s own Safe Browsing diagnostics page. This is what is known as a false-positive. The result is incorrect, but as far as the tool creating the result is concerned, it is absolutely right. In the event, Google revealed that they would be developing their Safe Browsing tools to provide more useful answers to end users and develop the service to avoid further errors. See unmaskparasites.com for more on this.